The cryptocurrency world in 2017 has made significant leaps in prices. Bitcoin began the start of the year at $ 1,000 USD, exceeding temporary price of $ 20,000 at the end of 2017. As Bitcoin keeps hitting new record highs, it has caught the attention not only from investors but also from authorities. Country governments and authorities are ringing alarm bells for heating bitcoin boom. As bitcoin is a currency used in Peer to Peer transactions, and it is not possible to track the flow of funds, in the past there were incidents that were misused as a means of money transfer by antisocial forces. The drug trafficking site“Silk Road”which was once a dark network was caught by FBI. So far the U.S. government has seized hundreds of thousands of bitcoin from those who used bitcoin for transactions involving illegal drugs and criminal activities. In addition, back in 2014 and 2015, the U.S. government ran several auctions of bitcoin obtained through its investigation of the dark market Silk Road. Recently, as the price of bitcoin soared to record highs, the profits of successful bidders totaled about 250 million dollars. Also, in June 2017, the South Korean government also held an auction of 216 bitcoins confiscated during a 2016 criminal investigation. On one hand, bitcoin is becoming a popular investment, on the other hand crimes related to bitcoin are increasing, and the tricks are also growing sophisticated. Many countries currently caught crimes related to bitcoin, and are seeking criminal currency control and regulation methods. Bitcoin and cryptocurrencies in general will be put on the agenda at the next G20 discussion in 2018. The G20 gathers central bankers and leaders from 19 nations and the European Union, covering the entire globe: Argentina, Australia, Brazil, Canada, China, France, Germany, India, Indonesia, Italy, Japan, Mexico, Russian Federation, Saudi Arabia, South Africa, South Korea, Turkey, United Kingdom, and the United States. All G20 members will need to consider and examine the situations to see how they can regulate Bitcoin. The French Finance Minister Bruno Le Maire seemed to welcome Bitcoin and its underlying technology, Blockchain technology. As shared via the media, (French news channel LCI) the Finance Minister believes that the use of Blockchain technology will allow fintech firms and other financial sectors to transact faster, cheaper and in more secure ways with transparency. It could be said that the bitcoin becomes the agenda of the G20 is evidence that its influence is increasing and cannot be ignored. Due to the risk of financial crime rampant and economic turmoil, proper crackdown and regulation of bitcoin and other cryptocurrencies are necessary. Meanwhile, the benefits of the blockchain technology which is the basis of bitcoin has great potential. It is an urgent task for governments to ensure the security of cryptocurrencies, and introduce blockchain technology. With the G20 as the opportunity, further regulation and related legislation will be further developed worldwide, and it could be a transition period when safer transctions become possible for general users such as individual investors. 2017 has witnessed many positive changes as well as restrictions to Bitcoin. 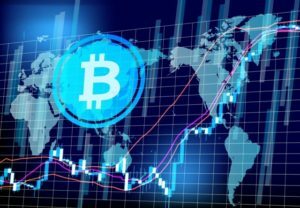 From the end of last year to this year, the price of cryptocurrencies including bitcoin has fluctuated in price and the risk of the collapse of the bubble is being concerned. In 2018, cryptocurrencies will be the stage to prove the ability to become a new means of settlement in the future. Not only bitcoin transactions but also criminal cases can occur in almost legal currencies, there are lots legitimate investors who are extremely interested in blockchain technology and cryptocurrency. Our company Wrapious Ltd is a state-of-the-art blockchain technology development company. We will improve the performance of the next generation SNS, Wrappy and continue to make efforts to provide customers cryptocurrency information and comply with regulations and laws while maximizing customers’ profits.